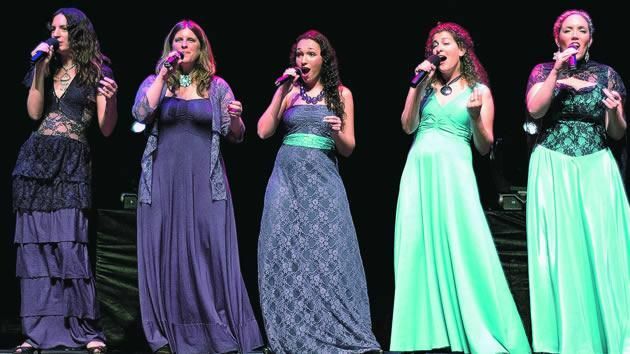 Learning music of any sort can be a lengthy but rewarding endeavor. The clarinet is a unique, beautiful instrument, and it also requires much patience and practice to become a pro. However, it is not as widely played as many other instruments, so it can be difficult to find the right places to learn how to play it. Fortunately, there are many sites on the internet that can help you to learn how to play the clarinet. 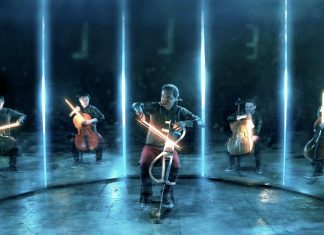 From short, free tutorials to comprehensive paid courses, you are sure to find the site that will help you become a master of this wonderful instrument. 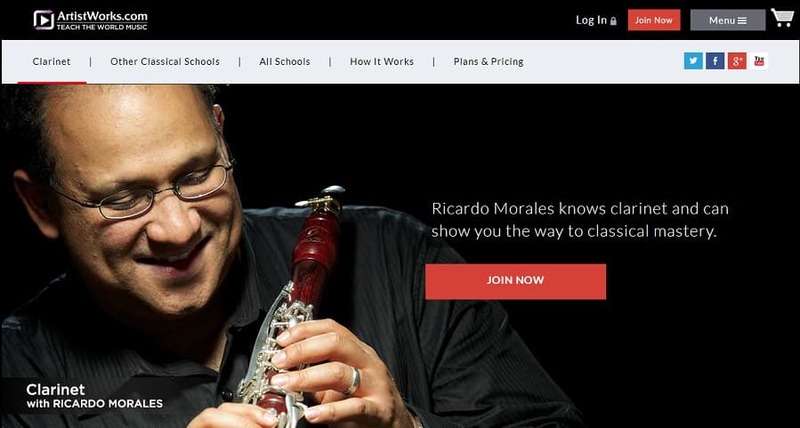 At Artistworks.com, Ricardo Morales is the master that will teach you how to play clarinet from beginning to end. This is a paid course that goes over all of the basics of the clarinet, but you can also choose to go an extended route and go even more in depth to learn more about the instrument. 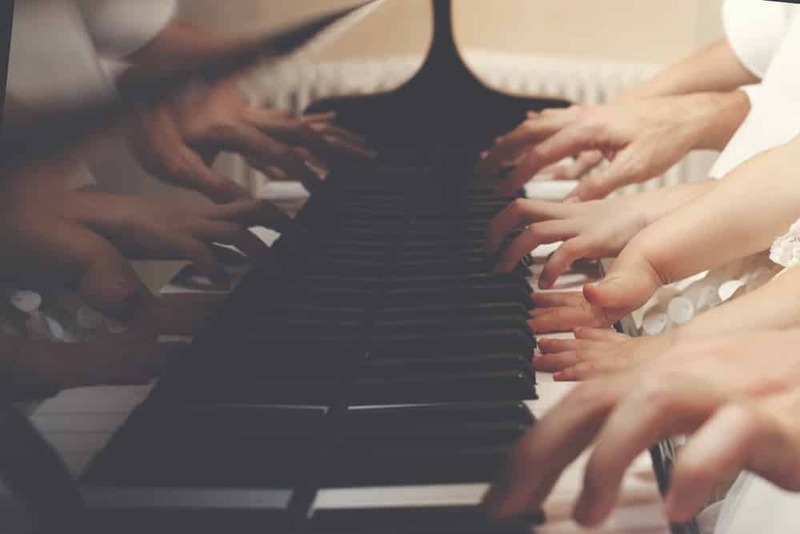 Whether you want to learn classical songs or learn to write your own music, you will gain all the knowledge you need in order to become a great player! Ricardo Morales is the principal clarinet player of the Philadelphia Orchestra, so he has the credentials to teach a great course on clarinet. He has been highly-regarded in the music world since he was a young player at 21 years old, and he has only gotten better with time. Ricardo remains committed to teaching the beauty and power that the clarinet can bring to any musical ensemble, and he is a fantastic teacher for anybody, whether they are a new student or a veteran looking to add a few new tricks to their repertoire. Artistworks.com is a wonderful place to learn the clarinet on a daily basis. Udemy is one of the largest purveyors of on-demand, online courses for almost everything. Despite its widespread nature, the quality of each course is always near the top of the list. This is no different for the clarinet courses that you can find on Udemy. There is a multitude of courses with a wide range of prices, so you can choose what is best for you based on your budget, time constraints, and level of commitment. One such course promises to take you from beginne﻿r to professional levels in just 5 hours of training! 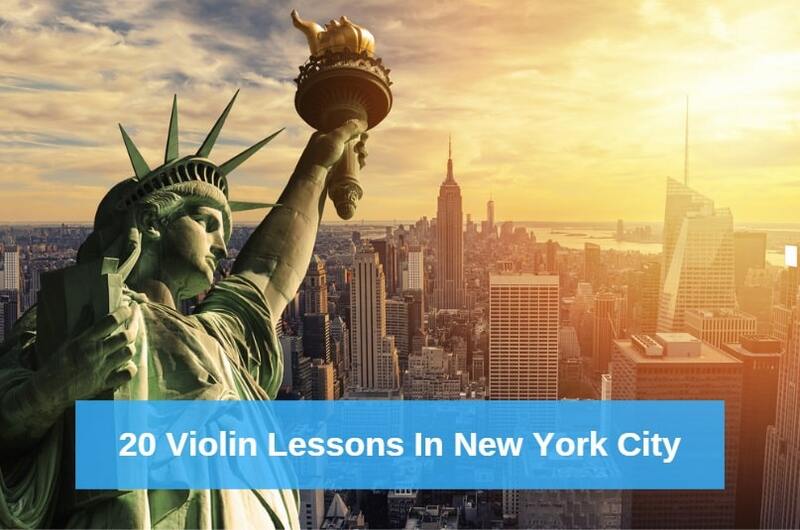 It covers several years of training in just a few hours, so if you are looking to learn the instrument fast, this may be just the course for you. On the other hand, there are courses that may take place over several days, weeks, or months. You can purchase them on a single course basis or take the whole program – whatever best suits your schedule. If you are a beginner who has never even touched a clarinet, this is a great way to get into it cheaply and easily. However, if you used to play and want to brush up on your skills, you’ll also be able to find the course that suits your needs. Fiverr is a popular online marketplace that is full of freelancers who offer services at a wide range of prices over a variety of topics. This is great for the aspiring clarinet player who doesn’t quite want to commit to an expensive, long-term course. You can take quick lessons for as low as $5, allowing you to determine whether or not you want to continue with your endeavor. This is a great way to introduce yourself to expert clarinet players who are willing to help you get better. Each teacher will offer several packages, with a range of different prices and services. You can pay more money to get a longer lesson, so this is a nice option if you want flexibility with time. There are different kinds of lessons that you can take, and you can even message the teachers ahead of time to see if they will take custom requests. Fiverr freelancers may be willing to cut you a deal outside of their normal realm if they feel like they can take on your requests. This makes it easy to use and a great way to learn. Clarinet Mentors is run by Michelle Anderson, who has been performing and teaching clarinet professionally for over 30 years. She is very passionate about the craft and wants to help adults and children alike realize the talents that they can bring to the clarinet. Whether you simply want to learn a certain song or if you want to learn all the basics of the clarinet, Michelle has a course for you and is able to provide you with the services that you need. Clarinet Mentors even has several free courses that can help you get started with your clarinet adventure. This way, you can find out whether or not it is the right instrument for you before making the commitment to take the courses. Once you’ve completed these basic lessons, you’ll be ready to take on the paid courses if you so desire. These courses go more in depth and help you go from beginning clarinet player to a polished veteran. Clarinet Mentors is loved by its students because of the flexibility that it offers and a wide range of styles that it covers. Michelle is a wonderful teacher who wants all of her students to reach their potential as clarinet players. 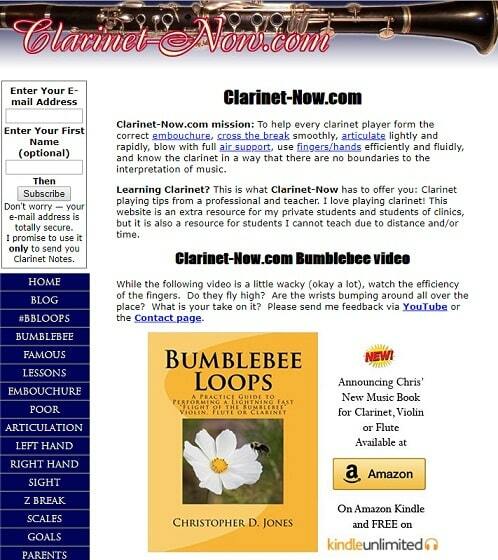 Clarinet Now is a site that offers many free lessons and focuses on BumbleBee Loops, which is a book that can be purchased as a paperback or ebook. If you are quite ready for it, you can still get plenty of benefit from the free lessons that are offered on the site. 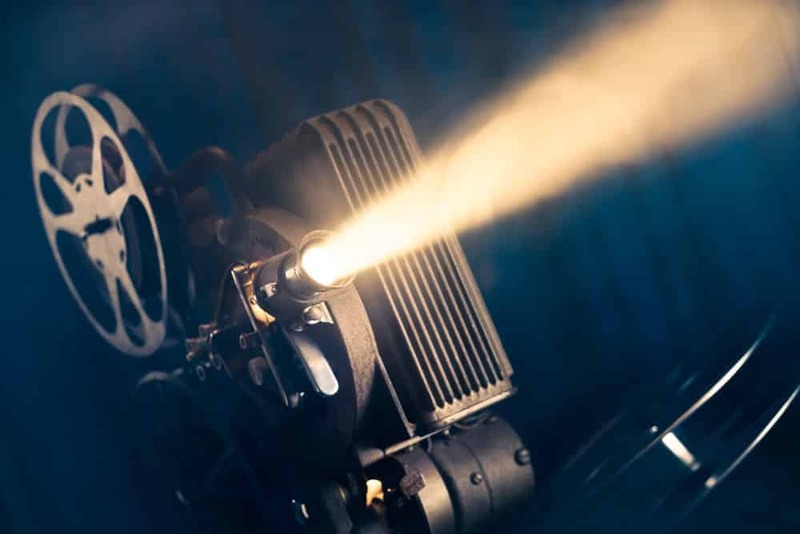 If you decide that you want to take your practice to the next level, it is easy to purchase BumbleBee Loops and go along with the videos that utilize the practices within. These two are great companions for each other and will work together to help you learn how to master the clarinet. There are videos all over the site that go over different techniques and styles, helping you to figure out what method of playing is best for you. You will learn how to read music and play songs, and it won’t even feel like you’ve been working at all. These videos are fun, informative, and easy to follow, so anybody can pick up a clarinet and start playing if they want to. The focus here is on learning how to play in a fast and efficient manner while gaining all the knowledge needed to understand the basics. 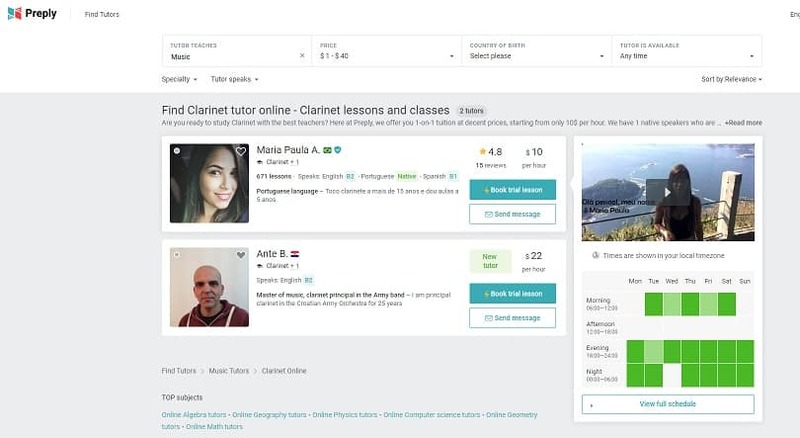 With Clarinet Companion, you can get your first online lesson absolutely free. If you decide that you enjoy the course material and style of teaching, you can decide to go on with the paid lessons. This is an excellent course for those who are in areas that do not have many music teachers or access to musical schools. It is built for those who can’t stick to a consistent schedule, as you can take the courses as you need them and when they work best for you. The goal is to make you a better clarinet player on your own time. As you get better, you will graduate to different grades and continue to learn more advanced material. 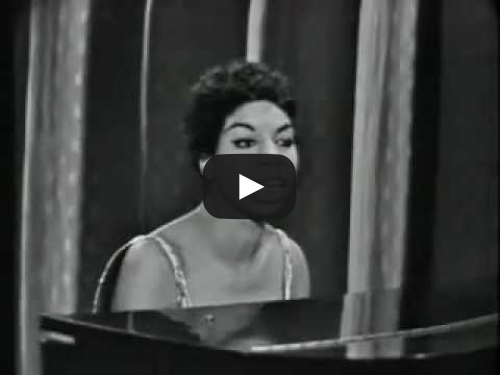 Every course has a lot of videos, photos, and sheet music to help you become a better player. 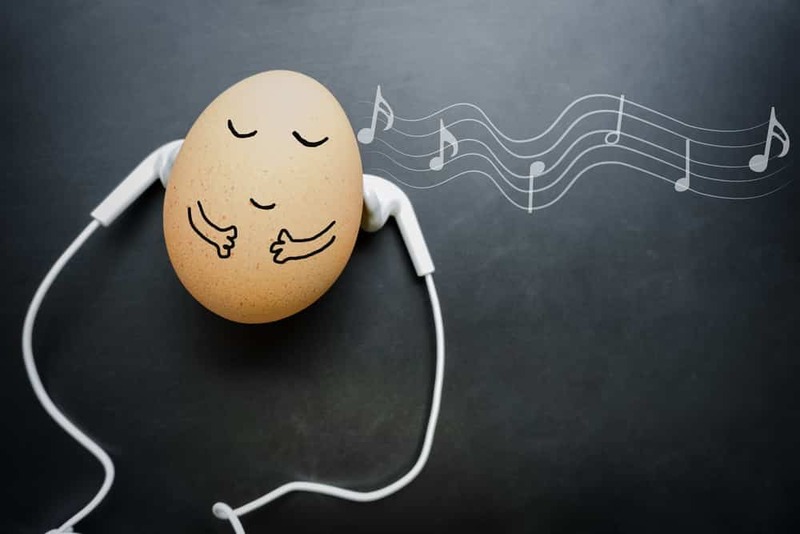 There are over 800 sound files, so you will learn plenty of music through your ears. Even after you have taken your free course, you only need to pay $5 a month to continue to have access to these fantastic files and courses. 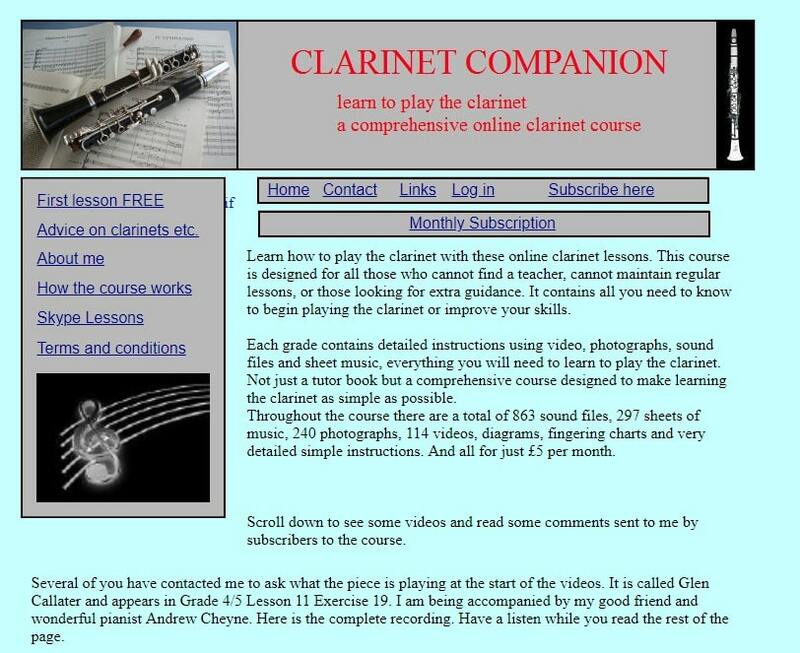 This is a great way to learn clarinet for a low price. 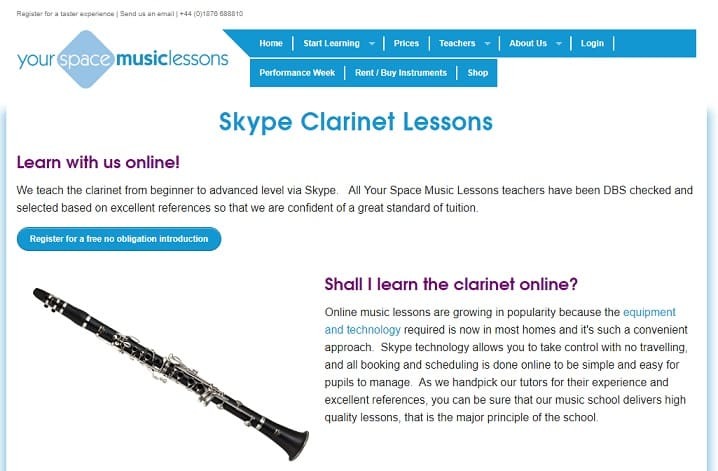 Your Space Music Lessons takes advantage of Skype to teach music lessons online. This allows them to teach the clarinet to pretty much anyone, no matter where they are at in the world. All of the teachers at Your Space have been thoroughly vetted based on strict quality control standards, so you know that you will be getting paired with a courteous professional who knows the clarinet like the back of their hand. 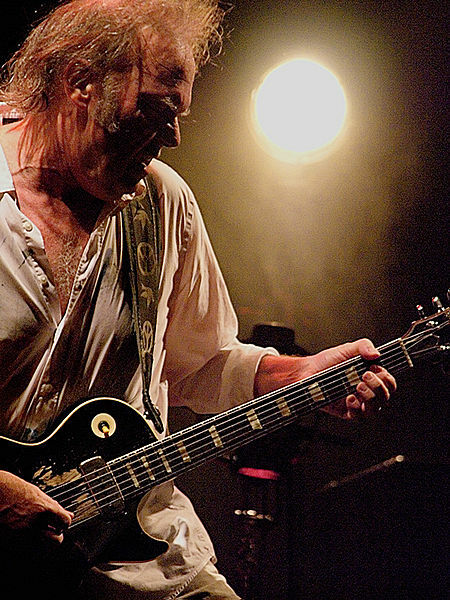 The fact that you are getting a live lesson over Skype makes this one of the best deals on the market. You’ll be able to ask questions and get live feedback from your teacher, which is a major advantage when it comes to learning music. You can learn as you go and figure out how to fix your mistakes with the help of the teacher. As you get better, they will continue to provide you with more difficult material so that you keep on learning every day. They even allow you to rent or buy instruments, so you might even get a clarinet that is better than the one you already have! If you don’t have one, this may be the place to find out if you want one and if the lessons are working out for you. 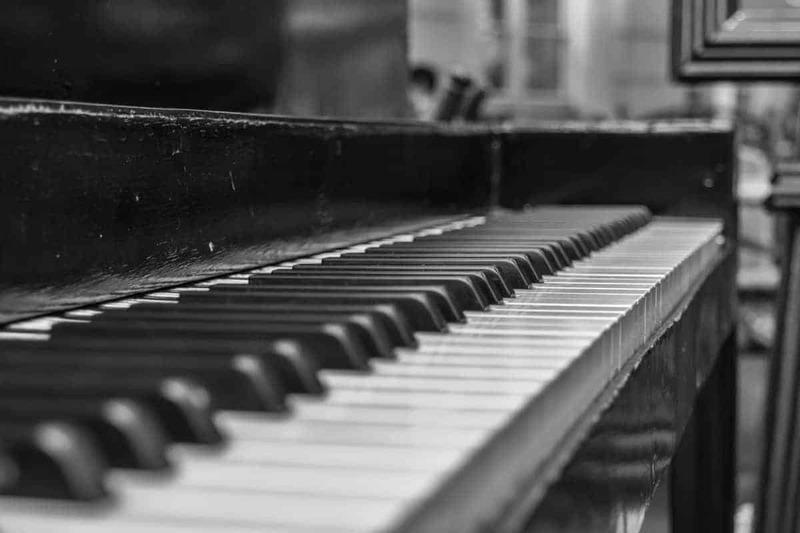 Music Lessons Anywhere caters to any sort of musician, whether they are brand new or if they’ve been playing all of their lives. This one also goes through Skype, so you will get live feedback and be able to ask questions right away and get solid, comprehensive answers. 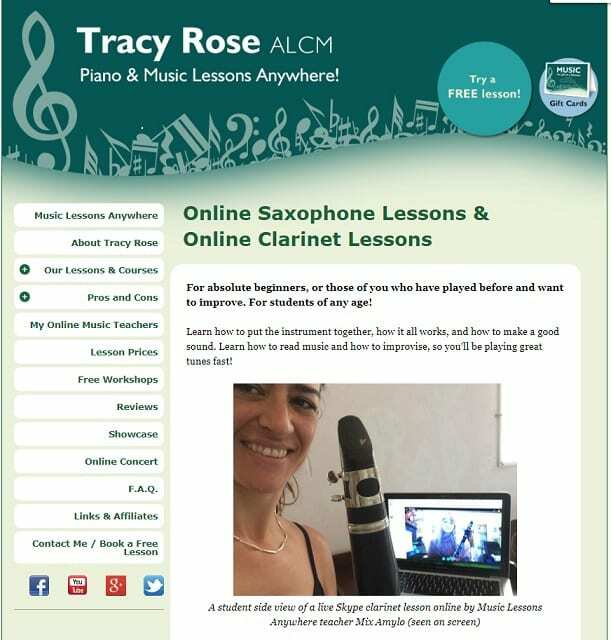 This is run by Tracy Rose, who has extensive experience with online music schools and has been playing multiple instruments since she was only 6 years old. She is passionate about music and teaching, so this is an excellent way for students to learn the clarinet. This online class is growing very quickly, and more and more students are signing up because they realize it is an excellent opportunity to become a master clarinet player. 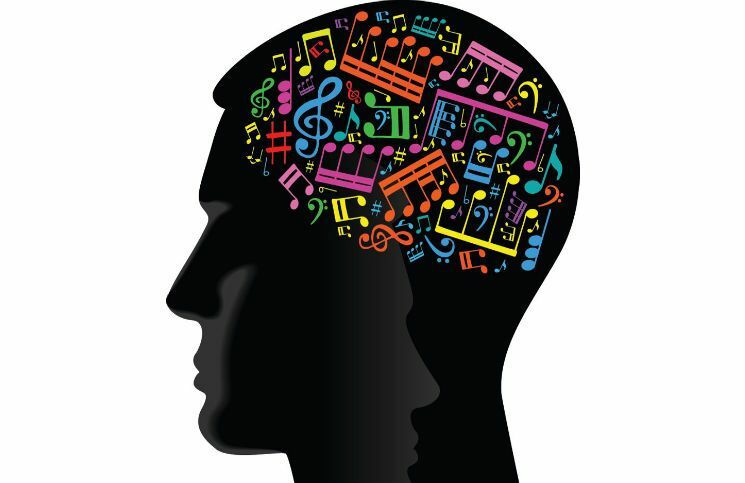 The live feedback and ability to customize your own course has drawn many students to opt for Music Lessons Anywhere. This is especially useful if you don’t have many teachers in your area or if you simply want to make your own schedule for classes. All of the teachers are highly regarded and are happy to help you learn whatever it is you need. Sharon Music Academy is a respected online school that focuses on teaches how to play their instrument and learn everything they need to know. They start with the basics and progress from there at the pace that is required for each individual student. Sharon focuses on private lessons, because they believe that it is far more efficient to learn in a one-on-one setting than it is to learn in a large room full of dozens of children. It allows for more interaction and time for the child to ask questions and learn on the go. Lessons at Sharon Music Academy are completely customizable, so every kid can learn the style of music that they want, whether they like the classics or would rather take a more modern approach to the clarinet. These courses don’t just focus on the notes, they teach music theory, breathing techniques, and improvisation, so your kid will be getting a comprehensive training that will help him or her become an excellent player. This is one of the best courses online, and the teachers are accredited and passionate about teaching. The prices are very reasonable, so this is perfect for any aspiring player. This is another site that focuses on face to face lessons that take place on the internet over Skype. This allows for personal interactions between the student and teacher, which helps greatly when it comes to correcting bad habits and learning new things. It is run by David Blumberg, who has been a professional clarinet player for over 33 years. He has experience with the Philadelphia Orchestra and the Hong Kong Philharmonic, so he has plenty of credentials to be a great teacher. Students have raved about David’s enthusiasm and ability to connect with them, no matter what they are trying to learn. He is a natural-born teacher and is sure to get through to any child that wants to learn to become a fantastic clarinet player. Through the power of technology, you can use Skype to learn the clarinet from any place in the world. Even if you want to learn new things when you are on vacation, you can schedule lessons via Skype and make sure to get your repetitions in. This is truly a learning program that will help you become a master musician and hone your skills. 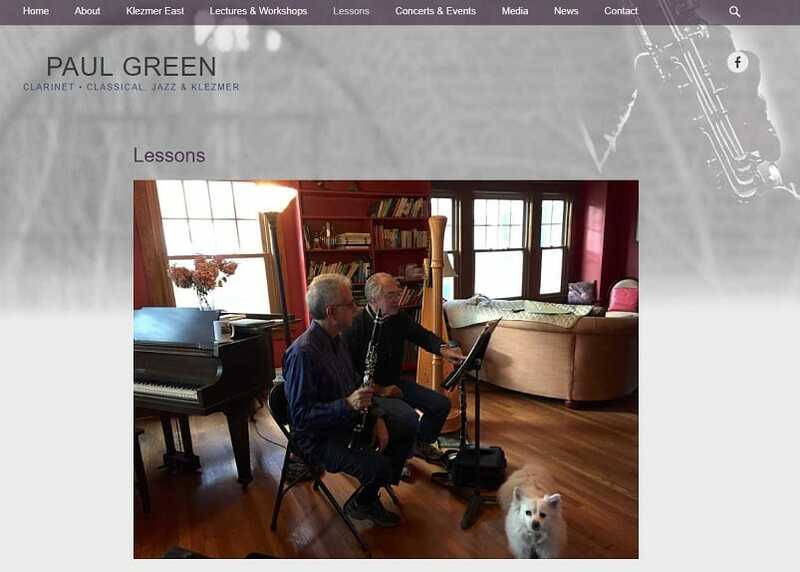 Paul Green offers comprehensive clarinet lessons in the venue of your choice. You can meet him in person if you are in his area, or you can book online lessons via Skype. Paul is passionate about clarinet and is committed to teaching his students all of the ins and outs of the clarinet. This starts with the very basics such as notes and chords and can be taken to the extremes of music theory and composition. Paul is a dedicated student of the craft and wants to help all of his students become the best players that they can be. You can take weekly classes at $75 per hour, and it is worth it as Paul is one of the best in the business. You will get to choose what you want to learn and when you want to learn it, so this is a very customizable course. Whether you just want to be able to play around the house or if you want to become a professional player, Paul will be able to teach to your level of expertise. If you want to take advantage of the internet and benefit from some of the best lessons, this is the course for you. If you are looking for a clarinet teacher, either in your area or to teach online, check out Superprof.us today! You will get your choice of a variety of different teachers, and you’ll be able to interview them to make sure that they mesh with your personality. These teachers have all been vetted and graded, so you know that you are getting a quality experience when you book a lesson with them. If you enjoyed your first lesson, you can continue to take their class and become a master player. Superprof gives you plenty of options when it comes to price, style, and location. It is totally customizable, so you will be getting the course that you are looking for. If you are on a budget, you’ll be able to find cheap options on this site that will accommodate you perfectly. You can learn everything online, making this a quick and easy way to become a fantastic clarinet player. 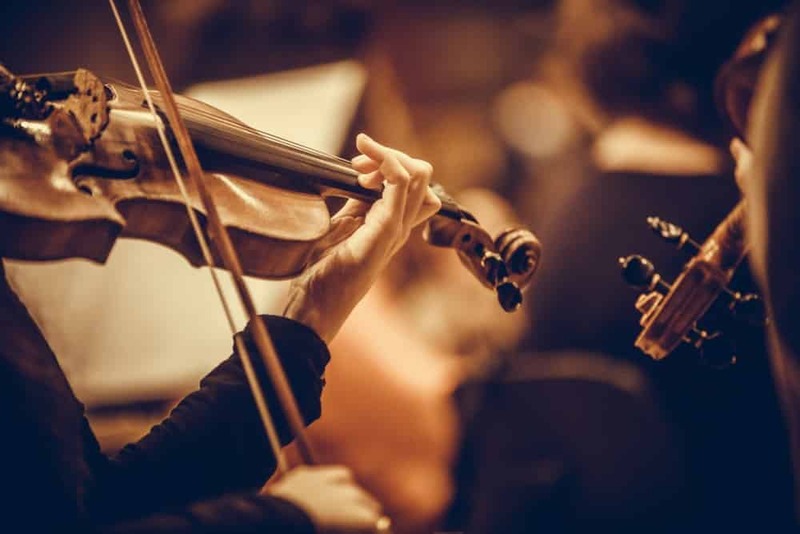 There is such a large number of teachers, that you are sure to find someone that helps you find your inner strengths and harness them to become the best musician that you can be. Tutorful is a wonderful website that connects teachers and tutors of many subjects with eager students who are looking to learn. 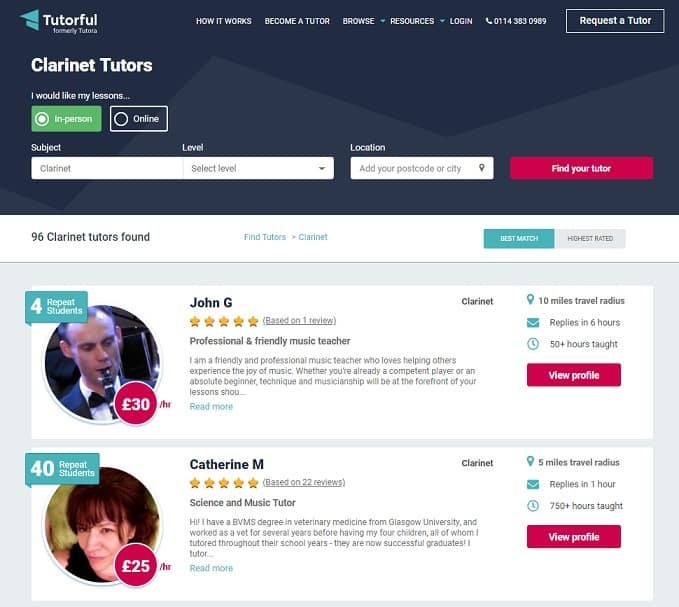 With a great selection of clarinet teachers available on Tutorful, it is an excellent resource for those who are looking to improve their playing skills. One fantastic feature is that you can choose if you want to find an in-person tutor or an online teacher. Tutorful gives you the option of how you want to learn, making it a customizable experience that will cater to your every need. There is an accurate rating system that allows you to read reviews of each teacher, and it is easy to see where they are located and how much they charge. You have access to their personal biography, and you can even speak with them before confirming to make sure that you are compatible with their teaching style. No matter what style of clarinet you want to play or level of experience that you have, you will be able to find someone that will work for you. This website is comprehensive and fun to use, giving you the opportunity to learn from multiple teachers. Musika Lessons specializes in online clarinet lessons. You can connect with teachers all over the country for one-on-one, private sessions that will be geared towards teaching you what you want to learn the most. As long as you have a webcam, microphone, and internet connection and clarinet, you’ll be able to work with a variety of teachers and speak with them personally in real time. This is a great way to learn for those who live in remote areas or simply don’t have the time to go to a regularly scheduled in-person lesson. Musika offers a wide range of teachers and classes, letting you choose one based on your budget and time restraints. You can learn about each teacher and their background to help you determine if they are the right person to help you get better at clarinet. You can even record your lessons so that you can go back to refresh your memory about certain techniques while you are practicing on your own. With a risk-free trial lesson, you can test it out without paying anything. If you are not satisfied, you will not have to pay for the lesson. It’s easy, cheap, and educational. 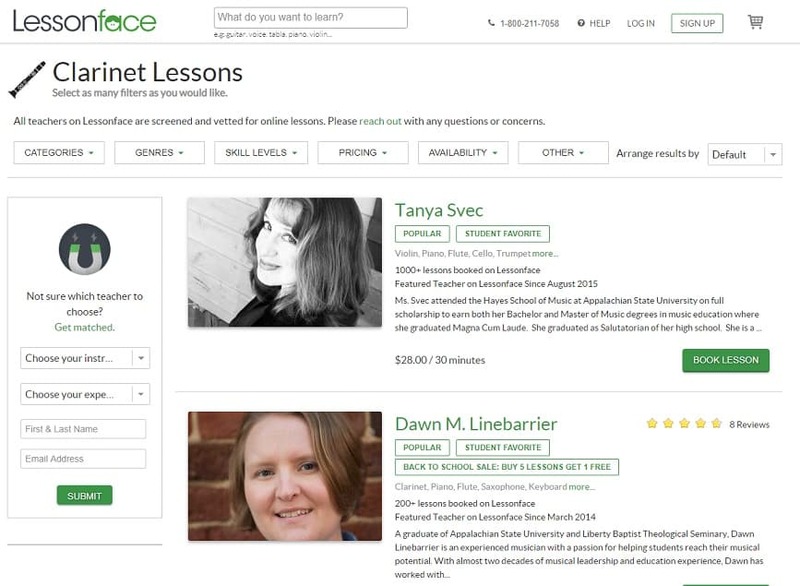 Lessonface is an online platform dedicated to providing teachers for almost any subject. Fortunately, they have an extensive database of clarinet teachers who all have something different to offer. If you are looking to learn some classical clarinet pieces, you’ll find it here. On the other hand, you can be taught by modern masters who will help you learn how to write your own songs and play along with popular music. There’s no end to the possibilities of what you can learn and there are no limits to the experience you can gain on Lessonface. All of the teachers here have been vetted by the experts at Lessonface, so you know that you will be getting a quality experience, no matter who you pick. There are different price levels as well as multiple styles that you can opt for, so there is plenty to learn here. You will have no obligation to continue taking lessons if you don’t mesh with a certain instructor, making this a risk-free endeavor and a fully customizable experience. 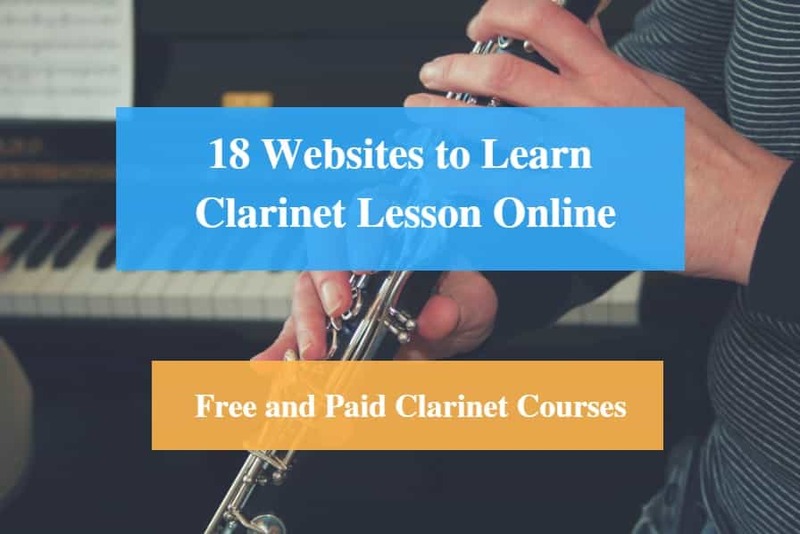 If you want to learn clarinet through extensive, one-on-one lessons over the internet, Lessonface provides you with exactly what you are looking for. With Takelessons, you can decide whether you want to meet in-person or take online lessons. It will find instructors in your area who are ready and willing to give you the clarinet lessons you need to become a master. There is an extensive rating system, so you can read reviews as well as biographies to learn more about each individual teacher before you decide to contact them. Even after contacting them, you can opt out of the lesson if you feel that you are not compatible. It is truly a wonderful service that allows you freedom and customization. With a wide range of pricing structures, there is a teacher for every budget on Takelessons. 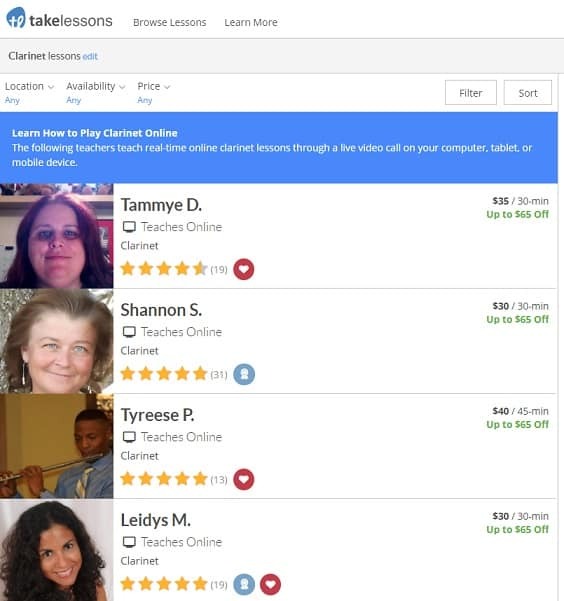 If you are brand new to the clarinet and want to save some money before jumping into expensive lessons, you will be able to do so on the Takelessons website. If you have a lot of experience and want to take your clarinet skills to the next level, you’ll also be able to find the teacher that will help you do just that. You get to choose what length of session you want and who you want to take it with thanks to this great teaching platform. Preply is another online platform that can help you find a teacher who will give you quality, highly vetted, one-on-one clarinet lessons. It includes an easy to use calendar widget that lets you know exactly when they are available and how to match them up with your personal schedule. When you can learn clarinet on your own time, you will be more successful with your progress, and Preply helps you to do that easily. With a large library of qualified instructors, you should have no trouble finding the perfect teacher. On Preply, you can find teachers for as low as $10 per hour. 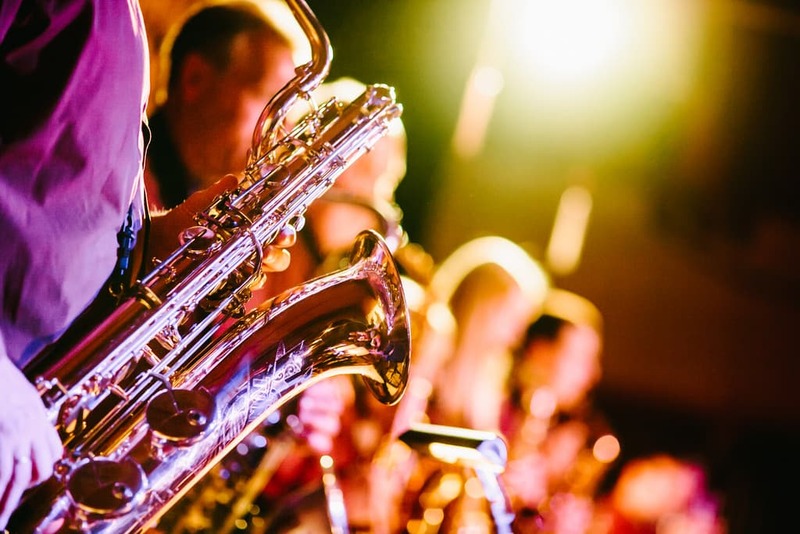 That may seem too good to be true, but even the lower cost teachers are wonderful instructors who will be sure to help you improve your musical skills. If you want to spend more and have a more advanced experience, you have the option to do that easily. You can even work your way up through different teachers and change at any time if you feel you aren’t getting your money’s worth. It is truly a fantastic, fun, intuitive service that will help push you over the edge when it comes to studying clarinet. Play with a Pro is a revolutionary website that hooks up potential clarinet students with a wide network of professional players. 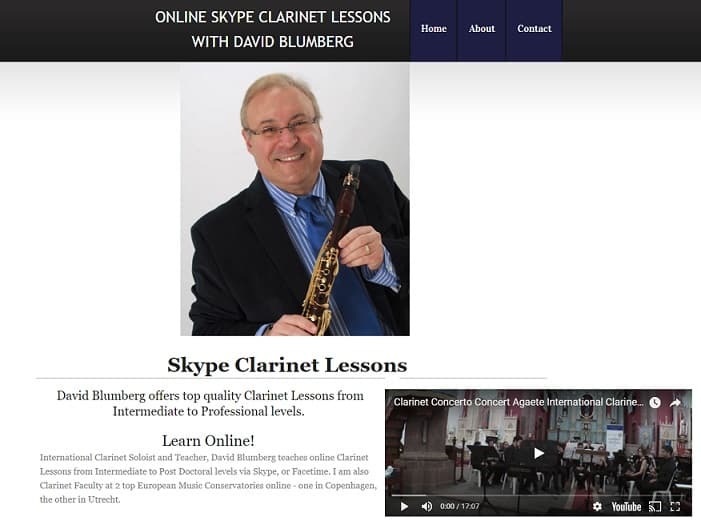 You can use online technology to schedule private, one-on-one lessons with some of the most highly qualified clarinet players in the world. 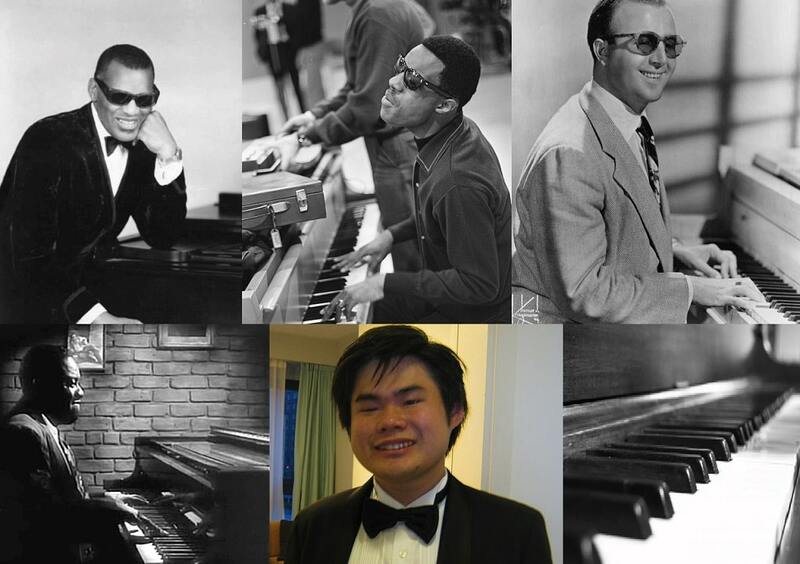 These are people who are passionate about music and about teaching others, so it is the perfect combination. Whether you’re just starting out or if you need to brush up on skills that you’ve had for years, you’ll find someone to help you out with Play with a Pro. There is a wide price range here, so you can match up with someone no matter what your budget is. You can even customize your lessons by speaking with each teacher before you book anything. You’ll find out if they are the right person for you and if they can teach you what you are looking to learn. There’s nothing to be worried about, as the platform is safe, secure, and highly vetted. Play with a Pro is a fun, easy to use website that is sure help you in your quest to become a master clarinet player. There is simply no other site like it. With so many options when it comes to lessons, learning how to play clarinet online seems like the obvious choice. Many music schools only offer large classes where the individual students do not get enough attention. This is simply not the most efficient way to become a masterful clarinet player, or musician of any type for that matter. 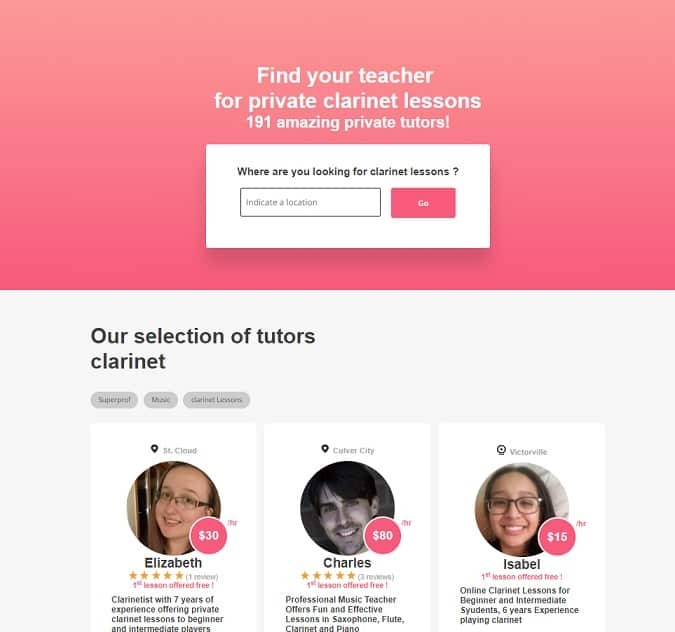 With one-on-one, online lessons, you can speak directly to your instructor and the focus will be entirely on your ability to learn the clarinet. You will not have to wait for other students who may steal the show. Online lessons are also perfect for people who live in remote areas or who are constantly on the go. Since you can log in from anywhere with an internet connection, you don’t have to spend hours driving to a school and you won’t have to worry about missing a lesson if you are out of town. You can connect from your home, a hotel room, or even an office. There is no strict schedule, so you can learn clarinet on your own time instead of having to wait for a pre-scheduled lesson that may just not be convenient for you. If you are serious about becoming an advanced clarinet player, then online lessons are truly the way to go. You will learn faster and gain more knowledge than you would have ever imagined with traditional lessons. Online courses are usually far cheaper and much more convenient, so you will benefit in those regards as well. There are so many teachers online, so you can rest assured knowing that you will find someone who matches up with your personality, even if the first teacher isn’t the perfect one for you. There are just so many options with online lessons that you can’t wrong.